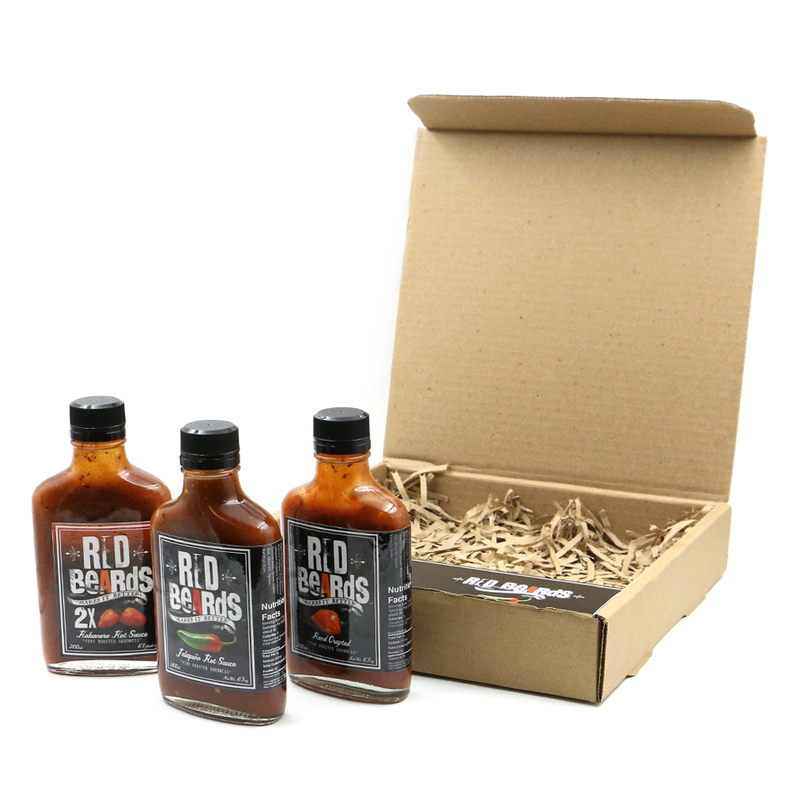 ALL THREE of RedBeards Hot Sauces in one specialty gift-ready box. 1 Flask Fire Roasted Jalapeño – Louisiana Style sauce with that vinegar tang up front followed by layers of flavor and that Jalapeño kick. 1 Flask Fire Roasted Habanero – This hand crafted, fire roasted Habanero Hot Sauce gives you a distinctive floral taste and heat. 1 Flask 2X The Heat Habanero -This hand crafted, fire roasted Habanero Hot Sauce packs 2X the Habaneros as the Original Habanero Sauce. Wrapped up in a beautiful hand screen printed box – includes a 10% discount card (for use on your next online purchase). 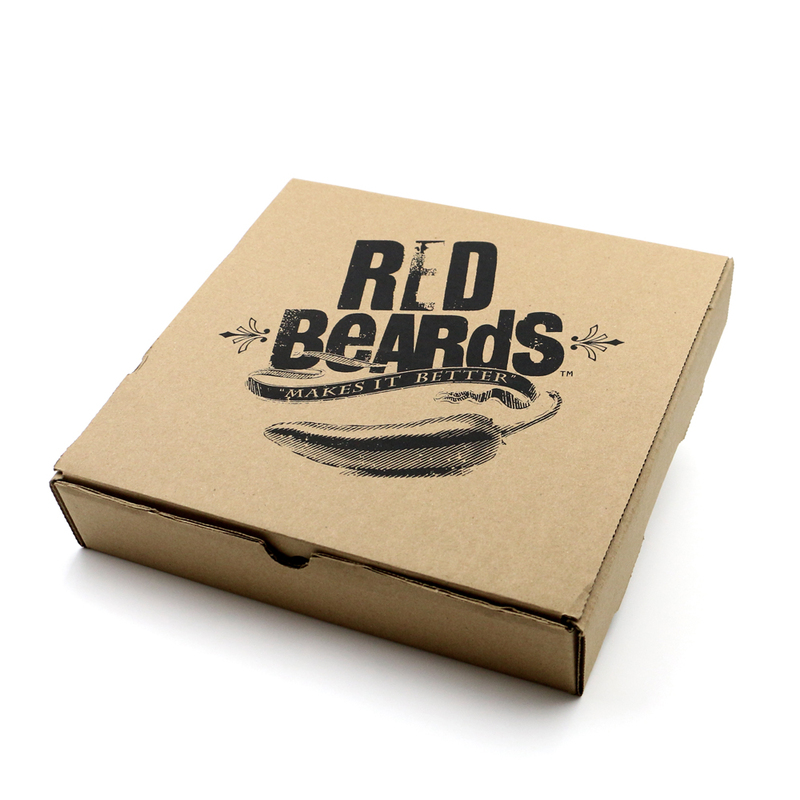 This is ready to wrap and gift to that Foody on your Holiday Gift List… RedBeards makes the Holidays better!